Nutrition Ireland was founded in 2010 and provides a professional consultancy service to hotel groups, restaurants and the food & health industry by Erika Doolan, Nutritional Therapist. Erika is passionate about helping people enjoy great-tasting, healthy options at restaurants worldwide. All restaurants; from fast food outlets to fine dining establishments, are finding Erika’s program to be an unparalleled strategy for capitalising on one of the hottest consumer trends in the restaurant industry: the growing demand for healthy, tasty menu options and accurate nutrition information. Responding to this trend could give your restaurant that competitive edge in these times. At many restaurants and food establishments nationwide, Erika highlights the nutritional content of the menu and provides a comprehensive nutritional analysis of each dish. Through her nutrition consultancy, Erika is an expert in helping chefs and restaurateurs identify key areas on the menu where dishes can be made more nutritious without compromising on flavour. She educates the staff in food establishments to understand the importance of healthy eating and provides restaurants with a range of nutrition services including nutrient analysis (calories, fat, sodium content etc.) and allergen identification. This advice encourages you to take control of your own health, through the food you eat and the way you live your life. It provides a clear understanding of the nutrient profile of the menu to inform consumer choice. This valuable information helps to facilitate a more healthy eating approach to menu selections. At Rustic Stone our philosophy is simple, we source the best seasonal ingredients, then we apply simple techniques to extract the flavour,while giving you the information you need to add nutrition and structure to your diet. The produce I’ve chosen and our demand for freshness is the cornerstone of our Rustic idea while providing a healthy but affordable eating approach. Erika has created the innovative menu at Rustic Stone with Dylan McGrath. Erika highlights the nutritional content of the menu and provides a comprehensive nutritional analysis of each dish. Through her nutrition consultancy, Erika is an expert in helping chefs and restaurateurs identify key areas on the menu where dishes can be made more nutritious without compromising on flavour. She educates the staff to understand the importance of healthy eating and provides the restaurant with a range of nutrition services including nutrient analysis (calories, fat, sodium content etc.) and allergen identification. This advice encourages you to take control of your own health, through the food you eat and the way you live your life. It provides a clear understanding of the nutrient profile of the menu to inform consumer choice. This valuable information helps to facilitate a more healthy eating approach to menu selections. Most recently, Erika created Rustic Stone Restaurant’s Raw Menu which is based on using raw food ingredients in a way that enhance and complement the dishes’ flavour and nutritional value. Erika herself is a 70% raw vegan leaving herself 30% open for ongoing research into new nutritional therapies and diet plans. Erika is currently working on a ‘Kidsize Me’ menus at Rustic Stone Restaurant and Fade Street Social. Kidsize Me is a joint initiative from the Nutrition & Health Foundation (NHF) and the Restaurants Association of Ireland (RAI) on the provision of child size portions of adult meals in restaurants. The initiative aims to ensure children have access to healthier food options when dining out by making child size portions of adult meals available as an alternative to ordering from the standard children’s menu. A thorough case history analysis, measuring body fat and weight. A practical, balanced, easy-to-follow healthy eating plan is designed to suit the client’s needs and lifestyle. Fitness and training. 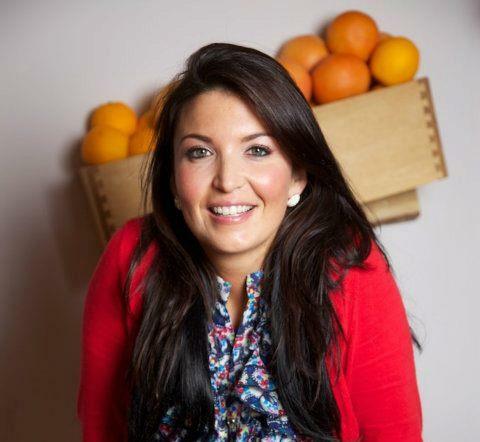 Nutrition Ireland was founded in 2010 and provides a professional consultancy service to hotel groups, restaurants and the food & health industry by Erika Doolan, Nutritionist. Due to high demand, Erika is now consulting and providing her own online health, fitness and motivational skills worldwide. Her online Skype nutritional and fitness advice sessions will get you the results you have always wanted! Do you have sugar cravings? Are you at a standstill and lacking motivation? My online nutrition advice involves a detailed discussion on where you are at with your health and how we can get you back to your optimum health levels as quickly as possible ensuring sustainability! All sessions last 1 hour and the cost is €80. Generally half the session is based on educating yourself around food and the role it can play, and the other half is around designing a programme to suit you, your tastes and lifestyle needs. You can now book and pay online using PayPal. My follow up support package is a unique bonus offered to my clients. All my clients who carry out a nutrition consultation with me or on Skype ask for ongoing support and motivation. They feel great having made the changes I suggest, better than they have felt in years, yet its all too easy to let the old habits creep back.